Our competence in optical design allows us to quickly find the right optical concept for you. We use OpticStudio™ from Zemax™. 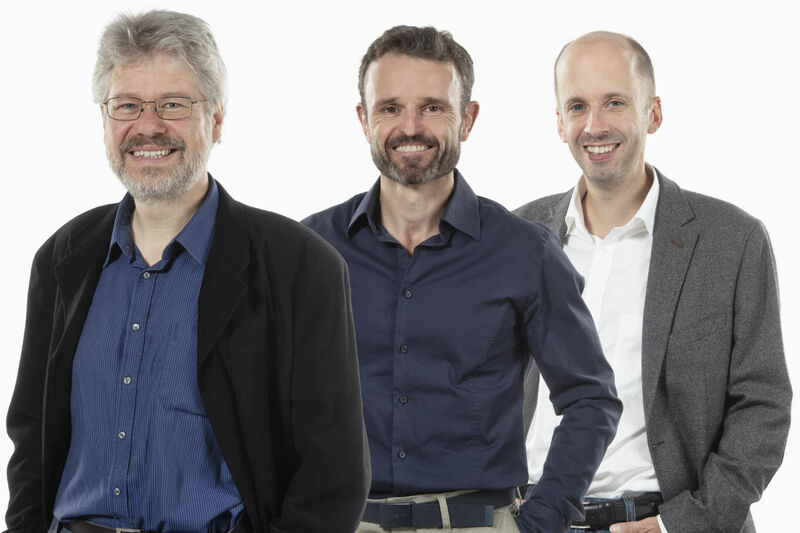 From our many years of experience in the development of optical systems, we know the proven concepts and where special measures are required. So we find the balance between the necessary effort and costs. We select the optimal camera or sensors best suited for the purpose, motorize mechanical elements on request and take care of the connection to PC, laptop or tablet. A well-equipped optical laboratory allows us to quickly build, adjust and measure the performance of demonstrators and prototypes. Technologie Manufaktur specializes in the development and production of innovative optical components and systems. We combine capabilities in optical measurement technologies, design of complex lens and mirror systems, image processing, and hardware control. That enables us to utilize the diverse application possibilities of light for new, innovative products we create for our partners. With our expertise in optical design, we find the right optical concept for your product. Even before the construction of a prototype, we can precisely forecast the performance by means of simulations. 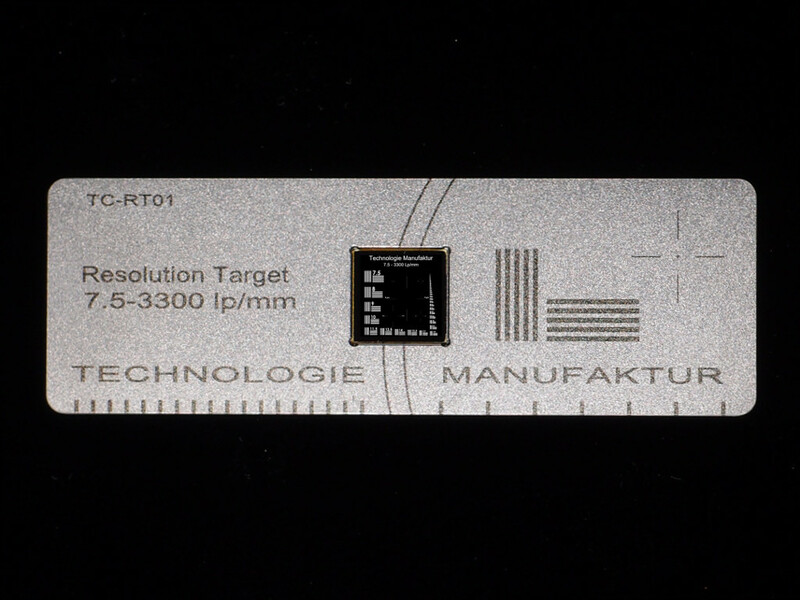 Optical elements often require accurate positioning to a few micrometers or arc minutes. 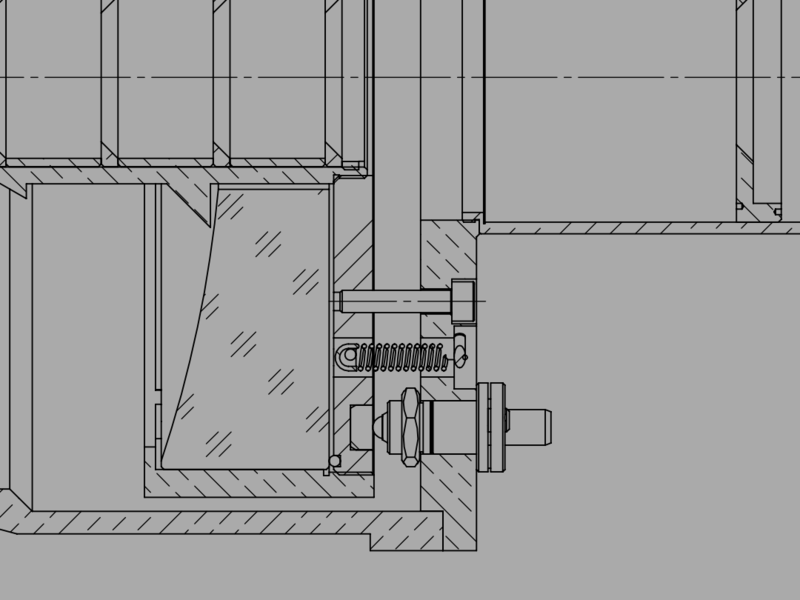 We implement proven concepts in the opto-mechanical CAD construction. We select the optimal camera or sensors for the product, motorize functionalities on request and take care of the connection to PC, laptop or tablet. 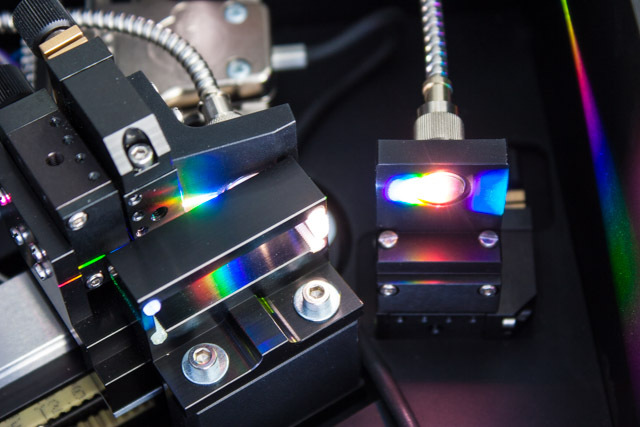 A well-equipped optical laboratory allows us to quickly build and adjust prototypes and characterize their performance, using a variety of physical measurement methods. Dust-free production takes place in a flow box. 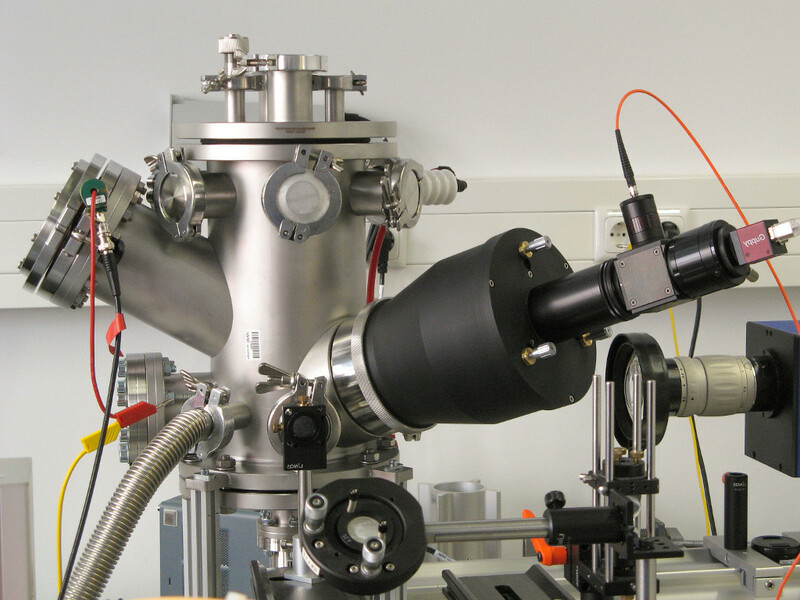 Our unique microscope, especially developed for vacuum and process chambers, enables us to observe samples in a vacuum chamber in situ with a resolution of 1 μm. 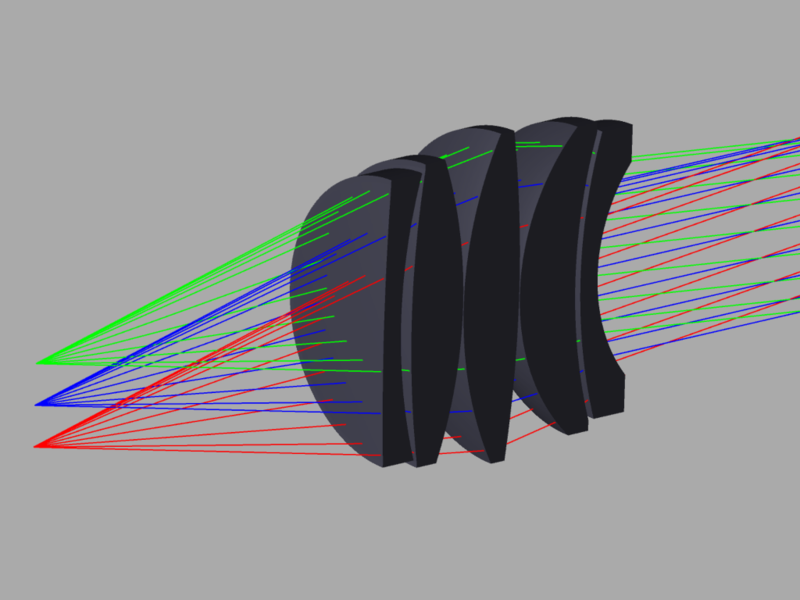 The lens is attached to a standard viewport and does not protrude into the chamber. The object to be observed can have a distance of up to 100 mm from the viewport. 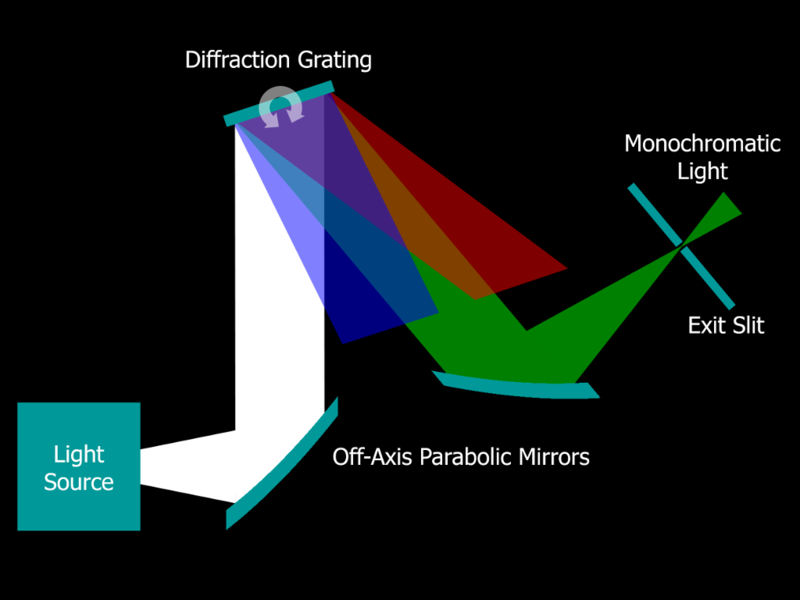 In the wavelength range between 200 nm – 2000 nm, the microscope allows a variety of imaging and spectroscopic applications. We build monochromators that are tailor-made for your requirements. All functionalities can be motorized. At the output free beam or fiber coupling as well as variants with (spectral) power monitoring are possible. 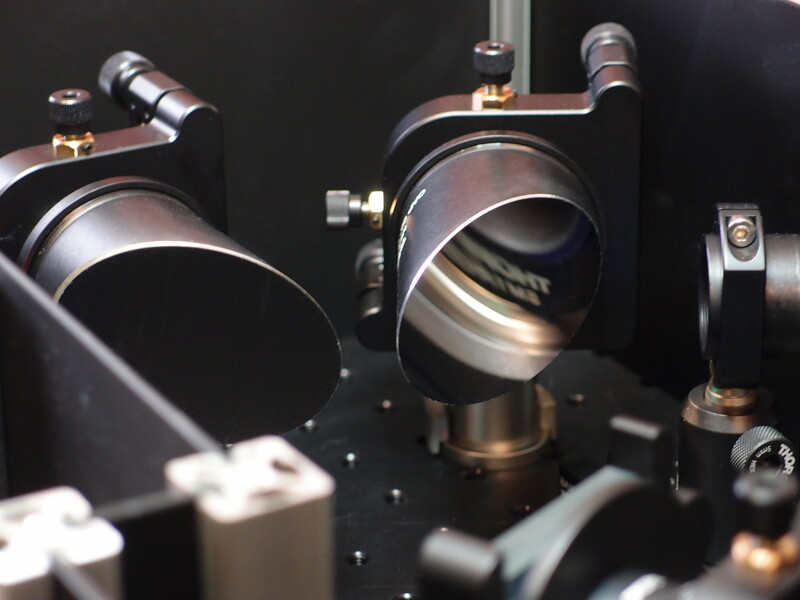 For example, we have developed the “Hyperchromator” for the laser-pumped light source EQ-99X from ENERGETIQ. This is coupled directly without intermediate optics, thus avoiding loss of power. In the combination, this tunable light source achieves high brilliance and efficiency. High-precision test charts produced with e-beam lithography.